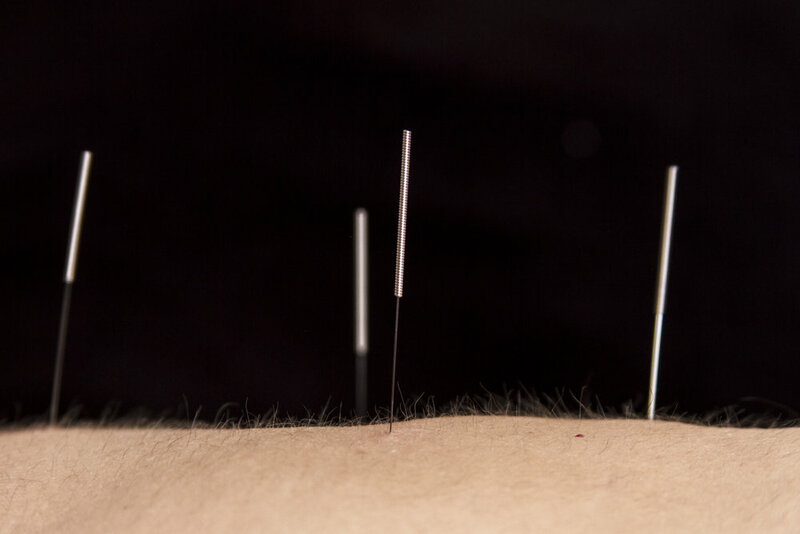 Acupuncture is a technique that involves the insertion of needles into specific points on the body to increase overall healing potential. It is a component of the health care system of China that can be traced back at least 2,500 years. There are patterns of energy flow (Qi) through the body that are essential for health. Disruptions of this flow are responsible for disease. Acupuncture may correct imbalances of flow at identifiable points close to the skin. Acupuncture rarely 'hurts'. 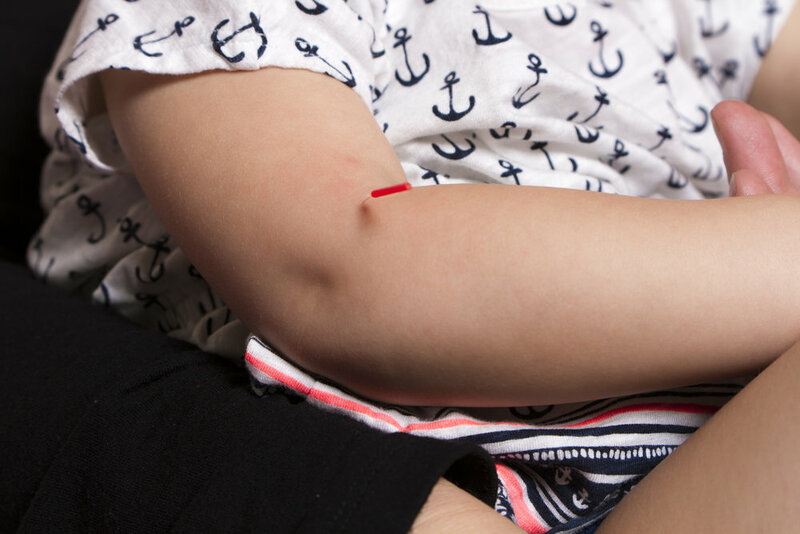 The most that people experience is sensation around the base of the inserted needle, or a slight tingling feeling when the needle is inserted. 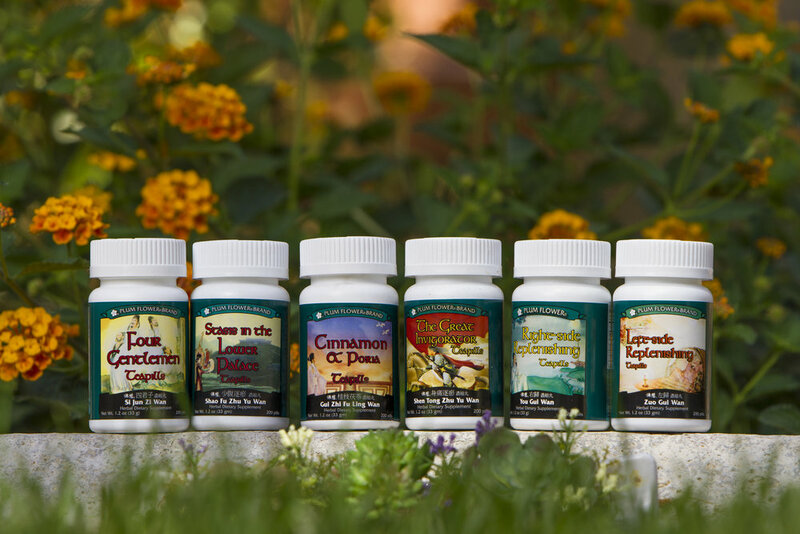 Herbal formulas are prescribed based on each patient’s individual diagnosis. These natural herbs are used to assist in the healing process and treat the root of their health problems. 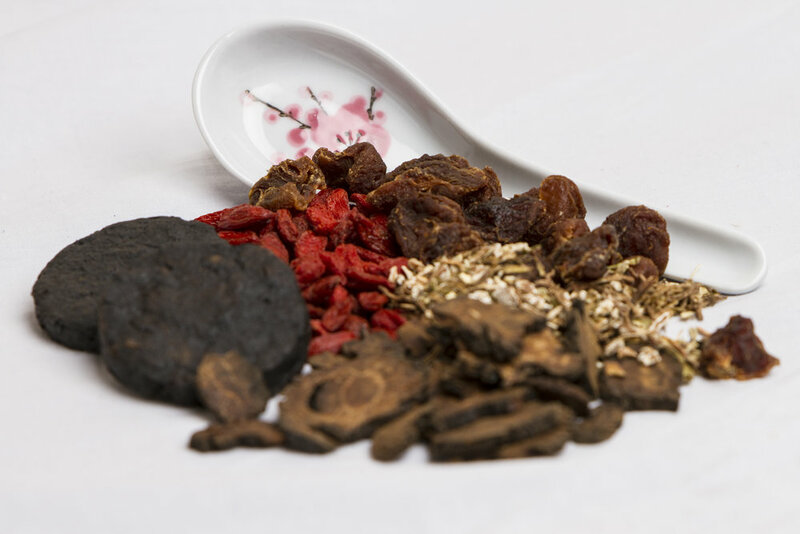 Although there are literally thousands of traditional herbal formulas for just about every condition imaginable, a formula is almost always modified by the TCM practitioner to suit the subtle nuances of the condition and constitution of the patient, making each formulation highly individualized. Cupping is a technique used to help increase micro-circulation. It is often used to help decrease pain and relax muscle tension. One way to think about cupping is that it is the inverse of massage. Rather than applying pressure to muscles, the suction uses pressure to pull skin, tissue and muscles upward. This therapy is an ancient form of alternative medicine in which a therapist puts special cups on your skin for a few minutes to create suction. 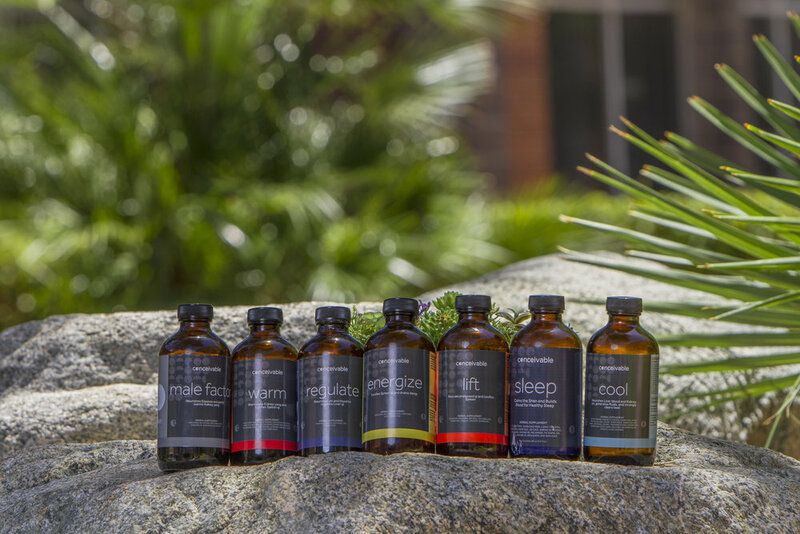 People get it for many purposes, including to help with pain, inflammation, blood flow, relaxation and well-being, and as a type of deep-tissue massage. You usually will feel a tight sensation in the area of the cup. Often, this sensation is relaxing and soothing. Cupping might be trendy now, but it’s not new. It dates back to ancient Egyptian, Chinese, and Middle Eastern cultures. One of the oldest medical textbooks in the world, the Ebers Papyrus, describes how the ancient Egyptians used cupping therapy in 1,550 B.C. Dr. Angela appears as the OMD on The Ultimate Fighter Show to help Cory Hendricks with an ailing shoulder that has kept him out of training and threatens his spot in the semifinals. It was about 10 years ago when cupping first appeared in the tabloids. Actress Gwyneth Paltrow showed up on the red carpet with obvious round cupping marks on her back. She received a lot of press and later explained to Oprah, "It feels amazing and it's very relaxing." Even more recently cupping has become popular with Olympic athletes like Michael Phelps. Certain foods can make conditions better or worse. Specific recommendations will be given based on your condition and Chinese medical diagnosis. Take Your FREE 5 ELEMENTS TEST to determine which element is out of balance, and receive your custom personal recommendations. Gua Sha is a light scraping technique used to help relax tight muscles, increase circulation and is sometimes used to reduce fever and boost immune function. Raising sha removes blood stagnation considered pathogenic in traditional East Asian medicine. Modern research shows the transitory therapeutic petechiae produce an anti inflammatory and immune protective effect that persists for days following a single Gua sha treatment accounting for the immediate relief that patients feel from pain, stiffness, fever, chill, cough, wheeze, nausea and vomiting etc, and why Gua sha is effective in acute and chronic internal organ disorders. In indirect moxibustion, a practitioner lights one end of a moxa stick, roughly the shape and size of a cigar, and holds it close to the area being treated for several minutes. Another form of indirect moxibustion uses both acupuncture needles and moxa. A needle is inserted into an acupoint and retained. The handle is then wrapped in moxa and ignited, generating heat to the point and the surrounding area. After the desired effect is achieved, the moxa is extinguished and the needle(s) removed. It does not hurt, and you may feel a warm sensation. Moxibustion is a warming therapy that uses Chinese Mugwort over the surface of the skin to increase overall energy and circulation. In traditional Chinese medicine, moxibustion is used on people who have a cold or stagnant condition. The burning of moxa is believed to expel cold and warm the meridians, which leads to smoother flow of blood and qi. In Western medicine, moxibustion has successfully been used to turn breech babies into a normal head-down position prior to childbirth. A landmark study published in the Journal of the American Medical Association in 1998 found that up to 75% of women suffering from breech presentations before childbirth had fetuses that rotated to the normal position after receiving moxibustion at an acupuncture point on the Bladder meridian. Other studies have shown that moxibustion increases the movement of the fetus in pregnant women, and may reduce the symptoms of menstrual cramps when used in conjunction with traditional acupuncture.